Editor's note: Cross-posted on The Huffington Post and the Google Research blog. Last year, I wrote about the importance of teaching computational thinking to all K-12 students. Given the growing use of computing, algorithms and data in all fields from the humanities to medicine to business, it’s becoming increasingly important for students to understand the basics of computer science (CS). One lesson we have learned through Google’s CS education outreach efforts is that these skills can be accessible to all students, if we introduce them early in K-5. These are truly 21st century skills which can, over time, produce a workforce ready for a technology-enabled and driven economy. Add together the digits in the ones place. If the result is < 10, it becomes the ones digit of the answer. If it's >= 10 or greater, the ones digit of the result becomes the ones digit of the answer, and you add 1 to the next column. Add together the digits in the tens place, plus the 1 carried over from the ones place, if necessary. If the answer < than 10, it becomes the tens digit of the answer; if it's >= 10, the ones digit becomes the tens digit of the answer and 1 is added to the next column. Repeat this process for any additional columns until they are all added. 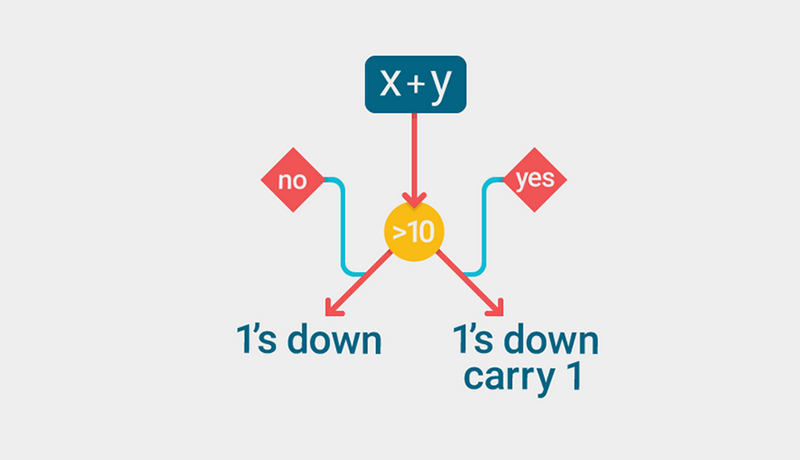 This allows a teacher to present the concept of an algorithm and its use in computing, as well as the most important elements of any computer program: conditional branching (“if the result is less than 10…”) and iteration (“repeat this process…”). Going a step farther, a teacher translating the algorithm into a running program can have a compelling effect. When something that students have used to solve an instance of a problem can automatically solve all instances of the that problem, it’s quite a powerful moment for them even if they don’t do the coding themselves. Google has created an online course for K-12 teachers to learn about computational thinking and how to make these explicit connections for their students. We also have a large repository of lessons, explorations and programs to support teachers and students. 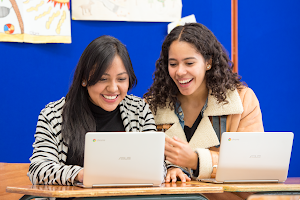 Our videos illustrate real-world examples of the application of computational thinking in Google’s products and services, and we have compiled a set of great resources showing how to integrate computational thinking into existing curriculum. We also recently announced Project Bloks to engage younger children in computational thinking. 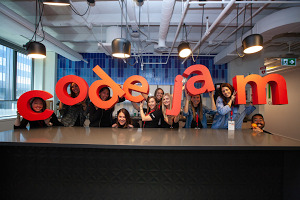 Finally, code.org, for whom Google is a primary sponsor, has curriculum and materials for K-5 teachers and students. We feel that computational thinking is a core skill for all students. If we can make these explicit connections for students, they will see how the devices and apps that they use everyday are powered by algorithms and programs. They will learn the importance of data in making decisions. They will learn skills that will prepare them for a workforce that will be doing vastly different tasks than the workforce of today. We owe it to all students to give them every possible opportunity to be productive and successful members of society.